In OpKey, a Test Case is a collection of test steps and a test step contains either a Keyword, a Control Flow Construct, Function Library file or Service Repository file. A Keyword can take either no input or can take object, data, or both as inputs. Each test step also returns an output which can be used as input for the other step. Follow any one of the following steps to create a new Test Case file. 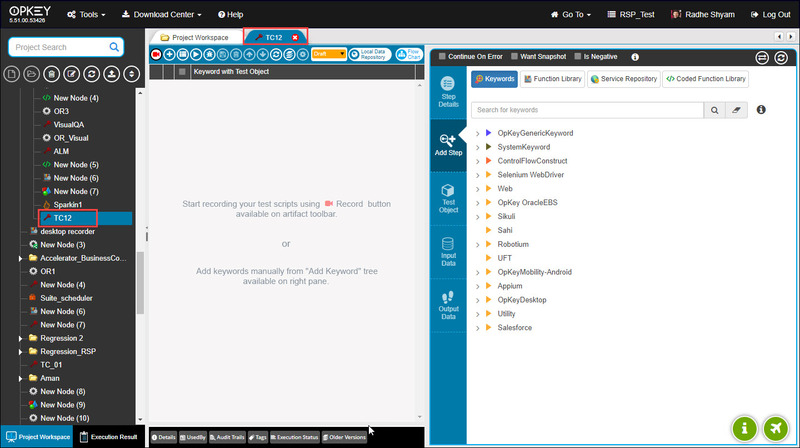 After successfully login into OpKey Web, select the appropriate Project in which you want to create a Test Case File. Click “End Tour” to proceed with the process of creating a Test Case file. How to create a Test Case File? 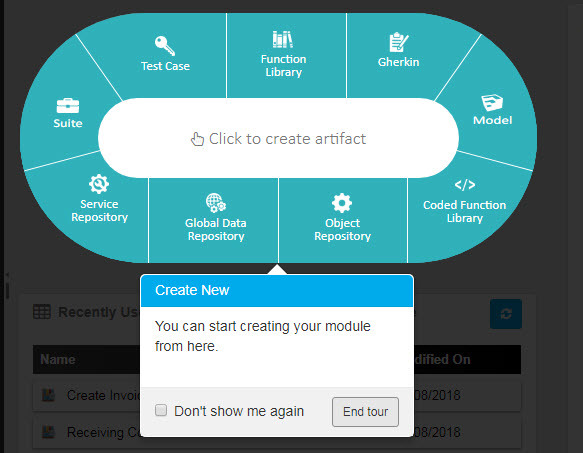 After clicking on “End Tour” , you may “Click to Create New Artifact“.Select Test Case. The “Test Case” text will appear highlighted. 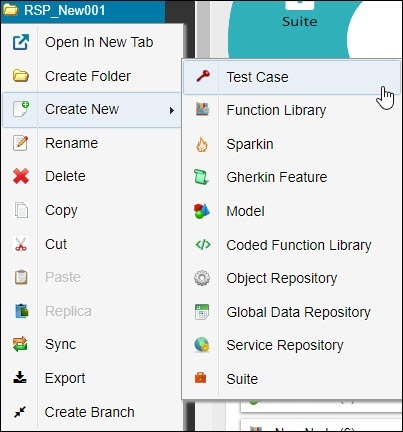 Click on the highlighted icon to create a New Test Case file. 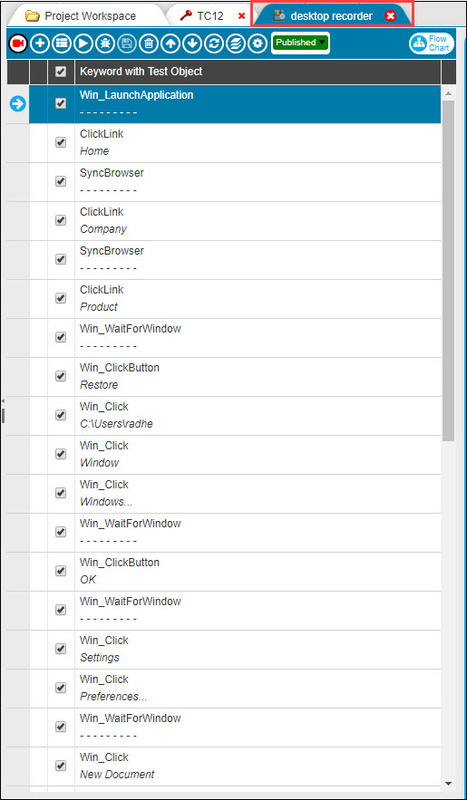 A Create Test Case window will get open as shown. The fields marked with * are mandatory. 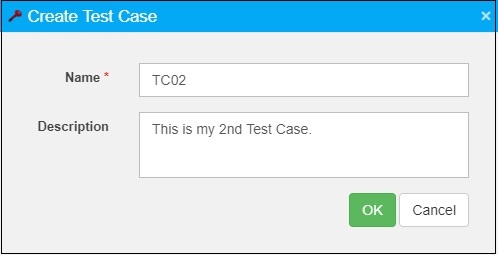 Enter the Name of the Test Case. You can also enter the Description. Click OK.
A Test Case file will be created in the root Folder of the project Workspace. Right click on root folder > select Create New > select ‘Test Case’. 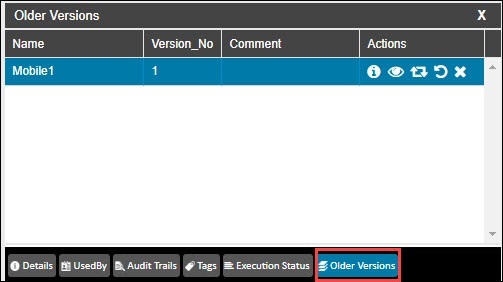 Open your Test Case file and click on Add Test Step button to add steps. There are three ways of creating a Test Case: By adding Test Steps, by Recording & by Adding Flowchart. These ways are described in next articles. This Dockable panel gives you the details about the Test Case such as the name of the OpKey user who has created it, the date on which the Test Case was created, the name of the user who has last modified the Test Case and the date on which it was last modified. You can add comments/description about the Test Case in the right-hand side of the Details window. 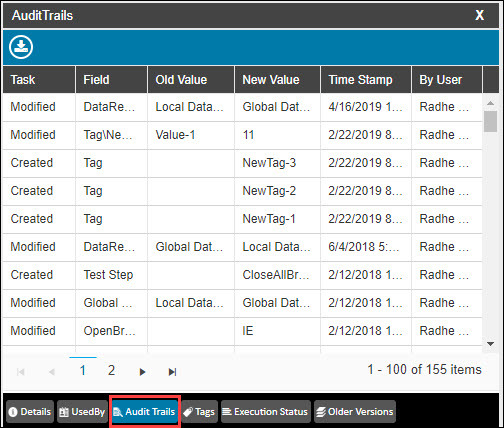 The Used By Dockable panel provides details about the artifacts/component files that are using this particular Test Case.The information include Name, Full Path, Description, and Component Type of the artifact. 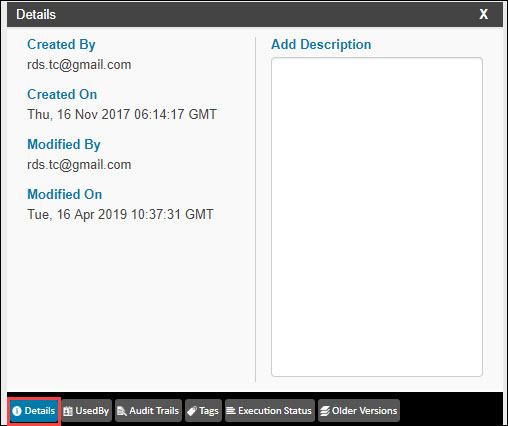 This Dockable panel reflects the details about all the changes done by user irrespective of the Test Case which includes Task, Field, Old Value, New Value, Time Stamp, and ByUser. 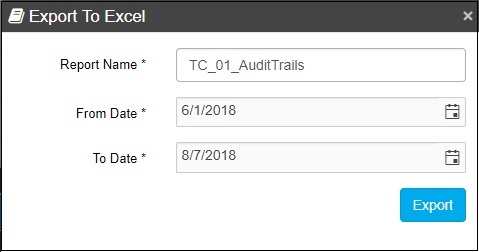 The ‘Task’ detail specify what activity has been performed by the user.’Field‘ provides the name of the Data field being modified. As the name Suggest ‘Old Value‘ and ‘New Value‘ describes the previousand currentvalue of the Field being modified. ‘Time Stamp‘ denotes the Dateand Timeon which the field was modified. The Detail ‘By User‘ indicates the name of the user who has performed the task. 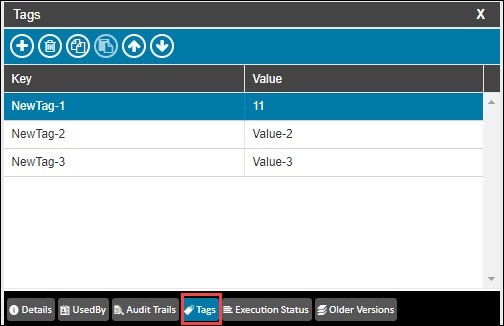 Tags are key-value combination added in the tags panel that allows the user to provide any important detail/information related to the Test Case. For example, the browser or environment on which the artifact has been created. A user can add as many number of tags as possible in a particular component file. 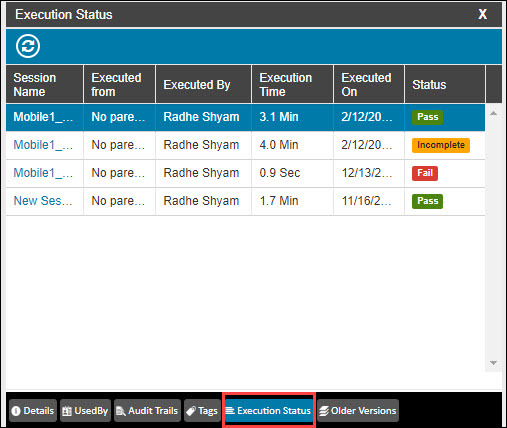 Execution Status tab in the dockable panel provides you the information about the test execution of the artifact. The information displayed in a tabular form with Session Name, Executed From, Executed By, Execution Time, Executed On & Status as column names. Older Versions tab in the dockable panel provides you the information about the existing older version of the file. If you have not created any file version then no file is displayed here in Older Version tab. You can view version details by clicking on Version Details button. You can preview and make replica of the older version file by clicking on Preview button. Here, you can view that the replica is being created. Here, replica has been created successfully. Once the replica has been created successfully, the saved older version file gets deleted automatically. You can restore the saved version by clicking on the Restore Version button. Select folder in which you want to restore the older version file and then click on Next. From here, you can add tags. The desired older version file has been restored successfully. You can download logs by clicking on Download Logs button. 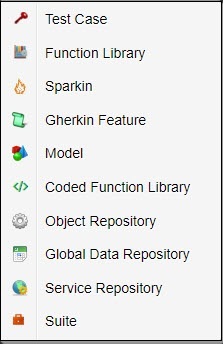 Now, you can view Function Library added to the Test case. For this you can use any of the given options (Expand FL, Show FL Information, Open in New Tab). 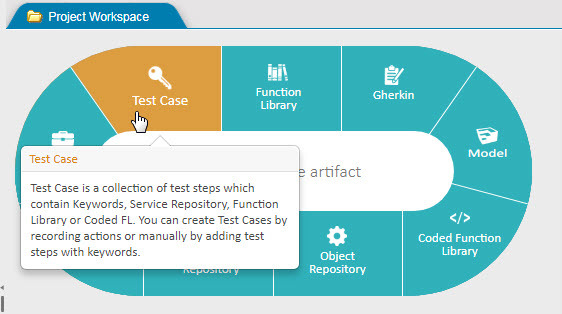 Expand FL opens the Function Library file in expanded view showing all added Test Steps. 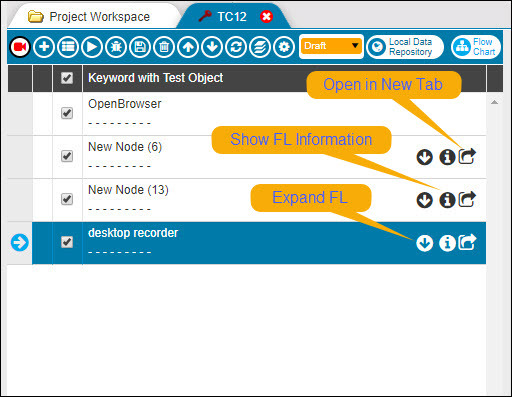 Show FL Information opens Function Library file in a popup window and shows detailed information about the Function Library file. 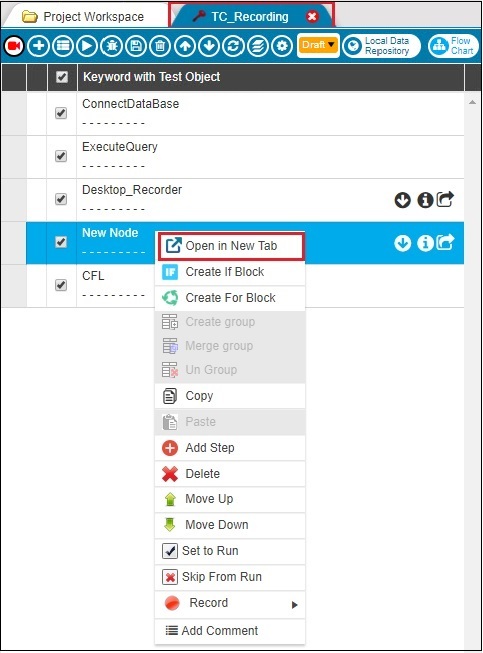 Open in New Tab option can be used to open the Function Library file in a new tab. 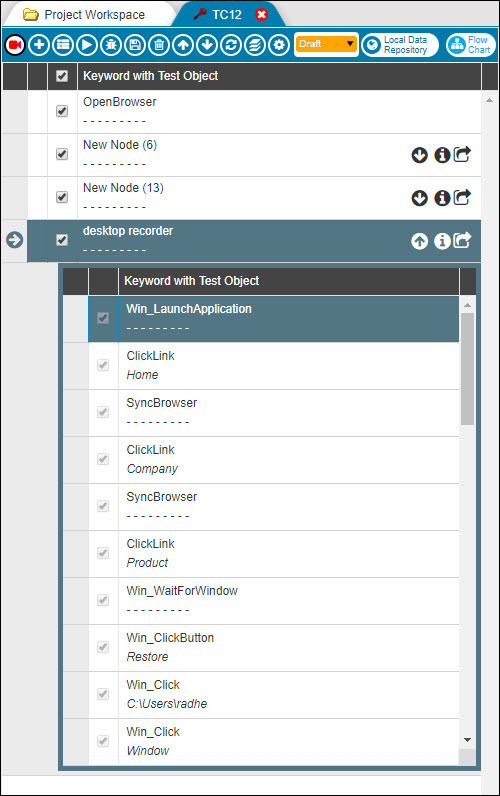 Open in New Tab feature enables you to view added artifacts (FL, SR method, Mapped Objects, & Mapped DR) in a Test Case. You can view mapped object with a Test Case step in detail. Right click on mapped object and then click Open in New Tab. 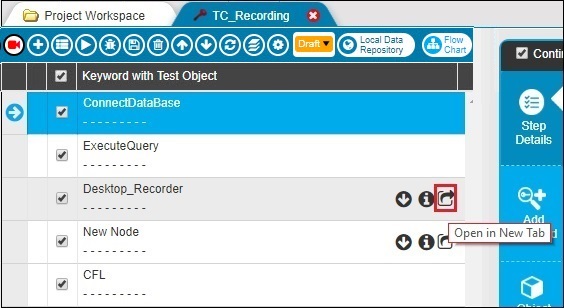 You can view the Object in the Object Repository in a new tab.